Send lovely wishes with this Love Bonanza Rose Bouquet and spread love among the people you care for. 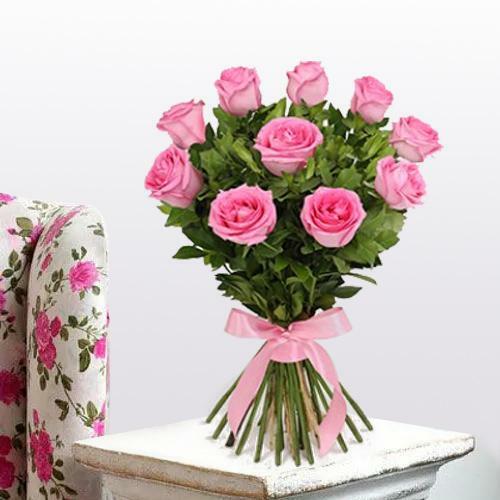 This Rose Bouquet is decked with 10 Pink Roses. Flowers Delivery Belapur, Send sweets Rajamundry, Wedding Cake Udupi, Diwali Mithai Panchkula, Send Flowers and Gifts to Ramgarh, Online Shop Pimpri, Flower to Madurai, New Year Flowers Ludhiana , Fresh Fruits Sonepat, Send Gift Madanapalle, Dry Fruits to Tuticorin, Birthday Delivery Agartala, Sending to Moradabad, Flower shop Varanasi, Tanjore Online Cake Delivery.